Earlier this week, OKGOP Chair Pam Pollard sent out rules and information on both the national delegate and elector selection processes. In anticipation of the Republican Party’s National Convention to be held in Cleveland, Ohio, in July, the Oklahoma Republican Party published this week the rules by which the state’s delegates will be selected to attend the convention. The process we’re following is a fairly simple one that is spelled out in our state party’s rules. The goal has always been for the process to remain open and transparent and to reflect the will of the Republican voters in Oklahoma. In the coming weeks every state and territory will undergo a similar process in selecting delegates to represent the party’s voters in the process to choose a Republican nominee for president in Cleveland. This week we have published the details of the delegate and elector selection process on our website for members of the media and those interested in serving as delegates. 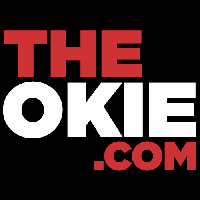 The OKGOP has also released the rules governing the nomination of electors to represent the party in the electoral college for the general election. One elector and one alternate will be elected from each congressional district along with two at the party’s state convention. The document explaining the delegate process can be viewed here and the nomination form can be downloaded here. The elector nomination form can be downloaded here, and the elector nomination details can be viewed here. 25 delegates, 25 delegate-alternates, 2 presidential electors and 2 elector-alternates will be elected at the State Convention on May 14th, while another 3 delegates, 3 delegate-alternates, 1 presidential elector and 1 elector-alternate will be elected at each of the five Congressional District conventions. This week's Music Monday is Rustle of Spring by Christian Sinding. Click here to see previous Music Monday posts. This song was a Music Monday suggestion from a friend. Do you have a song you'd like to submit for a future Music Monday? Email me at JamisonFaught@MuskogeePolitico.com. (Oklahoma City) – Oklahoma State Election Board Secretary Paul Ziriax announced that the Libertarian Party has been certified as a recognized party in the state Monday after election officials reviewed and approved petitions submitted last month. There is a short window for those who would like to register as Libertarians before the June Statewide Primary and August Runoff Elections. Anyone who is currently registered and wishes to change their affiliation must do so by March 31 for the change to be processed before those elections. The Libertarian Party has also notified the Secretary of the State Election Board that it will allow Independents to vote in its primary and runoff primary elections. Those who want to change their affiliation or register as new voters in the Libertarian party must fill out and return a Voter Registration Application Form, which can be downloaded at www.elections.ok.gov. Forms are also available in person at county election boards, tag agencies and other locations. This week's Music Monday is the choral finale in the 4th Movement of Beethoven's 9th Symphony. The lyrics are from the poem Ode to Joy - some might be more familiar with the tune being used in the hymn Joyful, Joyful, We Adore Thee. This particular version is sung by a 10,000-voice choir in Osaka, Japan; evidently, Ode to Joy is very popular over there. Click here to see previous Music Monday posts. Have a song you'd like to submit for a future Music Monday? 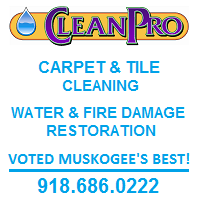 Email me at JamisonFaught@MuskogeePolitico.com. A combat veteran awarded two bronze stars for his service in Afghanistan plans to compete for the Republican nomination in the contest to elect the next representative of Oklahoma's 2nd Congressional District. Jarrin Jackson, an Oologah native who lives in rural Rogers County, said he decided to compete for the post in the fall of 2014 while on the battlefield in Afghanistan. 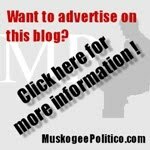 He is competing for a post that will be defended by U.S. Rep. Markwayne Mullin of Westville, who is seeking a third term. "My decision was made ... when one of my soldiers lost a leg to ISIS and we were not allowed to return fire," said Jackson, who earned the rank of captain before leaving active duty in the U.S. Army. "I learned on that day that we have leaders in Washington ... who are getting soldiers hurt and killed overseas because we are not allowed to win the mission." Jackson said his core decision to compete for the congressional post "has nothing to do" with Mullin and "and everything to do with the defense of the country." He did, however, criticize the incumbent's record with regard to veterans issues, spending and rapid rise to become part of the Washington establishment. "He is the consummate politician: He has convinced everyone that he is a small-business man ..., not a politician ..., but yet he has created his own leadership PAC," Jackson said about Mullin's Boots Political Action Committee, which was organized in May 2015. "You only create a leadership PAC if you plan on being in politics — they exist only to influence other politicians." Jackson insists he is not a single-issue candidate, citing conservative concerns such as the repeal of the Affordable Care Act, improving border security and reduced spending. But as a West Point graduate and a Ranger-qualified officer who commanded more than 500 soldiers at the platoon and company levels, veterans issues clearly rank at the top of his concerns. "When politicians talk about veterans issues they do so not from a position of expertise, not from the position of solving a problem, they do so because they understand everyone agrees veterans should be helped and get their health care," Jackson said. "The problem is they elect politicians like Rep. Mullin, who posts pictures on Facebook of himself with veterans or says he is going to do a veterans town hall — that doesn't produce results." As a combat veteran, Jackson, a fifth generation Oklahoman, said he has first-hand experience with the issues veterans face after they transition from active duty to civilian life. Unlike Mullin and other congressmen and women who have no military experience, Jackson said he would bring solutions to the table that address those issues at the front end rather than react to them as they are presented. "The problem is every congressman is reactionary — they look at a problem as they walk through the door or leave a message on voicemail — and don't get ahead of the problem," Jackson said. "As long as they are reactionary, veterans will continue to suffer." Jackson said there needs to be a greater focus on veterans as they transition from active duty to civilian life. He said neither the military nor Veterans Affairs take ownership of that process, which contributes to a multitude of problems veterans are forced to face alone after they are discharged. "I find it ironic that a district that has as many veterans as we do here doesn't have somebody in Washington who will better represent them," Jackson said. "If they want to see real reform ..., they should vote for me." The filing period for the 2016 congressional races is scheduled for April 13-15. The primary election to select party nominees will be June 28, with a runoff scheduled Aug. 23 if needed. FAMILY: Wife, Katie; sons Lloyd, 4, and Dale, 1. OCCUPATION: U.S. Army veteran, left active duty in 2015. EDUCATION: U.S. Military Academy at West Point, 2008 graduate with Bachelor of Science Degree in Military History; U.S. Army Ranger School and Airborne School. RELIGIOUS AFFILIATION: Church of Christ. HOBBIES: Football, Little League soccer coach, American history. Our country is in trouble. The national debt has reached $19 trillion, with billions added each day. Thousands of Federal programs are losing hundreds of billions of dollars annually to waste, fraud and abuse. Interest payments on the debt and mandatory spending programs like Medicare and Social Security will soon consume all Federal resources. The time is now to make tough decisions and prioritize spending in Washington. Ask yourself, “are the Federal programs in this report worth borrowing against our future? Your children’s future? 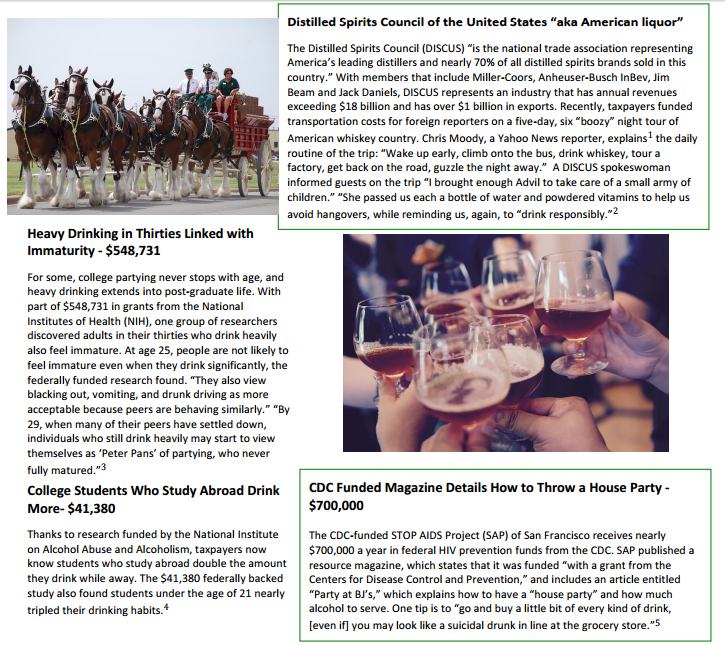 Their children’s future?” Drunk on Debt, comprised of information readily available to the public and mostly from our own archives, is just a fun conversation starter. Agree or disagree with its entries, it is clear that choices will have to be made to secure our future. Restore Accountability is former Senator Tom Coburn's new 501(c)(3) educational non-profit organization created to bring objective, factual information regarding the impact of our national debt and wasteful spending directly to those generations most negatively impacted. Learn more here. Because nothing says "he can stop Trump" like winning just ONE out of the thirty-one primaries and caucuses so far, Jim Inhofe is now supporting John Kasich, who mathematically needs about 110% of all remaining delegates in order to win. 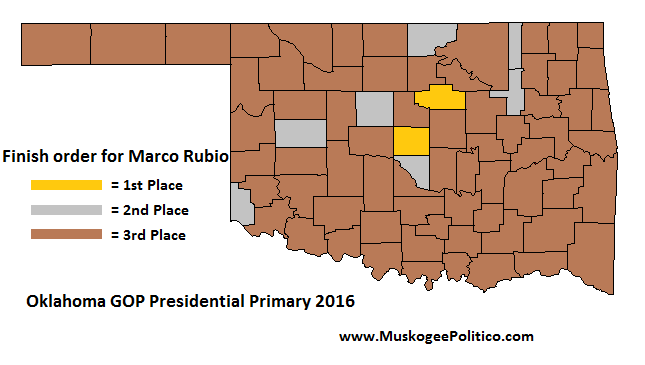 Inhofe had previously supported Marco Rubio. Today U.S. Senator Jim Inhofe (R-OK) announced his support for Gov. John Kasich’s presidential campaign. 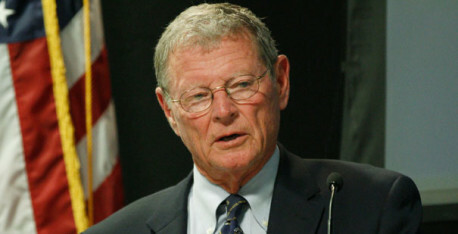 Inhofe is an Army veteran and avid pilot who serves as Chairman of the Senate Environment and Public Works Committee and Senior Member of the Senate Armed Services Committee. 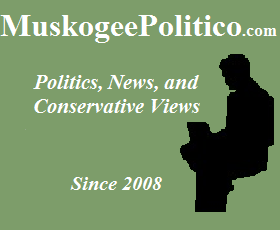 Several publications, including National Journalmagazine and Human Events, have ranked Inhofe among the Senate’s most outstanding conservative members. Prior to his election to the Senate in 1994, Inhofe represented Oklahoma’s 1st Congressional District in the U.S. House of Representatives. 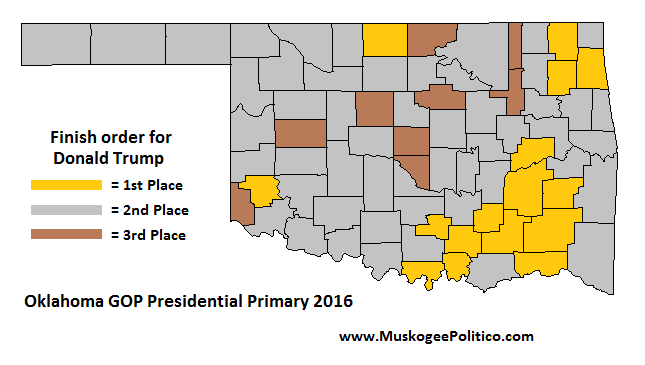 Another note: does the Kasich campaign know that Oklahoma already voted, and that he received only 3.59%? Read the last sentence of the press release again, and tell me how Inhofe knowing "Oklahoma voters better than just about anyone" is a "major win... going forward". This week's Music Monday is Hard Times Come Again No More by the American songwriter Stephen Foster. A prolific composer from the mid-1840s to his death in 1864, in many ways Foster was the 'father of American music'. He wrote many folk songs that endure to this day, such as Camptown Races, My Old Kentucky Home, and Oh! Susanna. Click here to see previous Music Monday posts. While the electorate is distracted by the Republican Presidential primaries candidates, the voters in Oklahoma are unaware that Common Core is about to be brought back to their state. The Oklahoma legislature has been lulled to sleep and unaware of how close they are to bringing back Common Core via approving newly submitted state education standards. In 2014, Oklahomans led an enormous grassroots effort that completely upended the education industrial complex in the state. The repeal is widely recognized as the first full repeal of Common Core in the country. Meanwhile, the advocates of the Common Core standards regrouped in Oklahoma and in their retreat, their plan was to rename it. The resurrection of common core in Oklahoma has been planned incrementally. The anatomy of the Common Core of yesterday and the one of today are identical but to pacify the electorate, the Common Core of yesterday had to go underground. This takes us to 2016 and the submission of new standards for English and Math as the replacement in Oklahoma. Oklahoma Legislators in the Sooner state, are knowingly or unknowingly, on March 23rd, are about to welcome the Common Core standards back into the state. The vehicle they’re using to bring it back in are the new subject matter standards that are aligned with the ACT testing series. A series that in the test makers own words is known to be Common Core aligned. 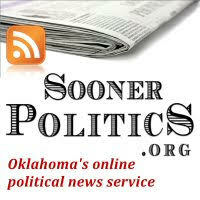 The Oklahoma Republican Party State Committee met Saturday and elected a new State Vice Chairman. DeWayne McAnally was elected to serve the remainder of the term of former OKGOP State Vice Chair Estela Hernandez, who resigned in January to accept a new opportunity to serve Oklahomans. Dr. Harold Haralson, who serves as a Cleveland County Commissioner, finished second in the first round of voting. Dr. Haralson then made a motion, seconded by third-place finisher Porter Davis of Oklahoma City to elect Mr. McAnally by acclamation on the second ballot. “The vote of acclamation was a continuing signal that the Oklahoma Republican Party is unified for the 2016 election cycle. We had three great candidates for Vice Chairman of our Party, and they all exemplified the character and vision we’re going to need in November,” said Oklahoma Republican Party Chairman Pam Pollard. "I'm looking forward to working again with DeWayne McAnally focusing on the historic number of open seats in addition to the Presidential Election of 2016. DeWayne brings a wealth of experience and a desire to unite the party around our candidates and conservative Oklahoma principles in November,” concluded Chairman Pollard. 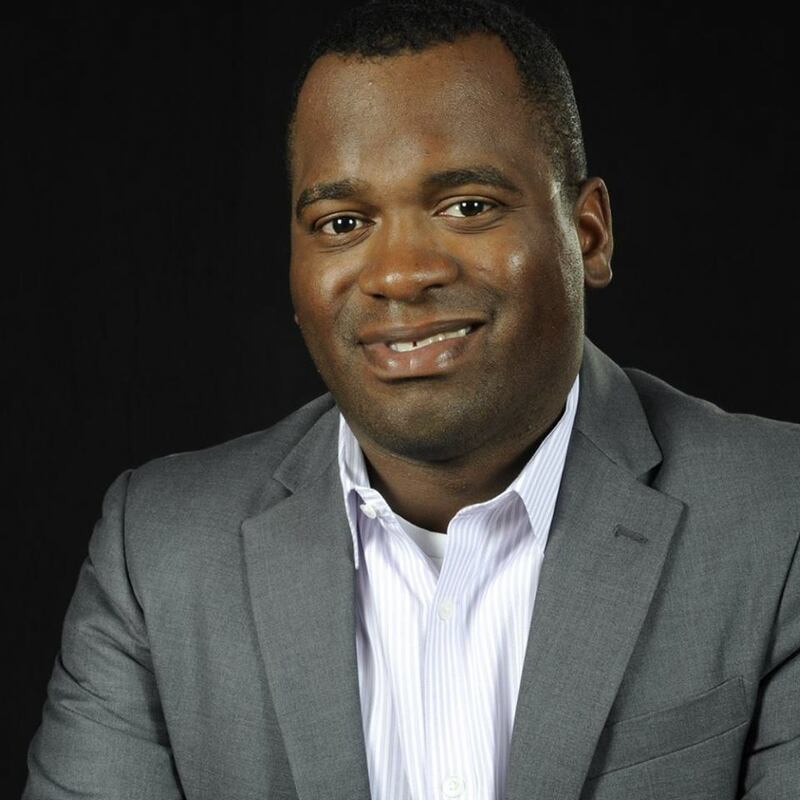 DeWayne McAnally is a financial advisor residing in Oklahoma City. He is known for his work with children in the Oklahoma City area through the McAnally Foundation and the Big Brothers Big Sisters program. This Republican presidential primary has turned out to be rather depressing. Starting the season off, we had the youngest, most diverse, most talented set of candidates ever going up against a weak, homogenous Democratic field of old, white northeastern liberals. The contrast was going to be tremendous. Yesterday versus Tomorrow, New versus Old. This was going to be our year. Where things stand now, the frontrunners for both the Democratic and Republican parties are old, rich white liberals from New York. Not a lot of variety. I've posted quite a bit about why Donald Trump is a terrible choice. He would be a disaster as the Republican nominee, and I cannot in good conscience vote for him to be our next President. Trump must be stopped, and the best way to do that is to defeat him in the primary. Only one candidate left can do that -- Ted Cruz. Marco Rubio is a talented young conservative, who had a bright future and huge potential. He would have made a great president, far more conservative than anyone since Ronald Reagan, and perhaps even more so than Ronaldus Magnus himself. However, Rubio's chance has come -- and gone. His campaign is practically finished. He has no path to victory. There is only one thing he can do now to stop Donald Trump. It's time for a Cuban Compact. In the 24 primaries or caucuses thus far, Marco Rubio has finished ahead of Donald Trump 2 times. Ted Cruz has beaten Trump 8 times. Rubio has finished second to Trump in 2 states, and Cruz has finished second to Trump in 8 states. Rubio's polling has plummeted in recent days. In most Florida polls, he's barely ahead of Cruz (just outside of the margin of error). In Ohio, he's in fourth, in single digits. In other states, the best he can get is a [distant] tie for second place. 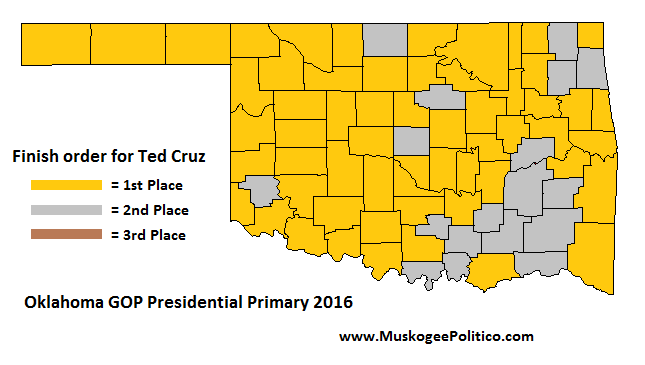 The election results are proving Ted Cruz's case for him -- he's the only one who is giving Trump a run for the money. Rubio's 3-2-1 strategy "wait for Florida" strategy (also called the 3-4-2-2-3-3-3-2-3-3-1-3-3-3-3-2-4-3-3-3-1-3-3-4-4-1 strategy) has failed, much like Rudy Giuiliani's Florida strategy of 2008. The only thing Rubio accomplishes by staying in the race is guaranteeing a Donald Trump nomination. Erick Erickson and others have been calling for Rubio to drop out and join Ted Cruz for a unity ticket. This does several things: saves face for Rubio by avoiding an embarrassing loss in Florida, unifies the party, gives a tremendous contrast to Hillary Clinton, and saves Rubio's future political ambitions (let's face it -- a loss in Florida would be damaging to any future run for Rubio). I agree with them. 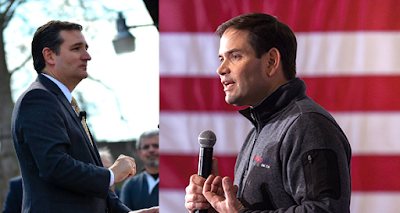 A Cruz/Rubio presidential ticket would be the best thing conservatives have ever had on the national level. It's time for the two Cubans to get together and make it happen while there's still time. This week's Music Monday is The Suite from the popular British historical drama Downton Abbey. This is the full version of the intro theme. Click here to see and listen to more of my Music Monday posts..
We've had another statewide election, so it's time for some more of my Election Results Maps. 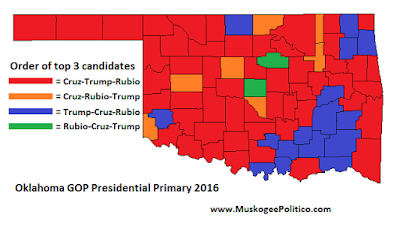 This set of maps looks at the finish order for the top three Republican candidates in Oklahoma's presidential primary - Ted Cruz, Donald Trump, and Marco Rubio. 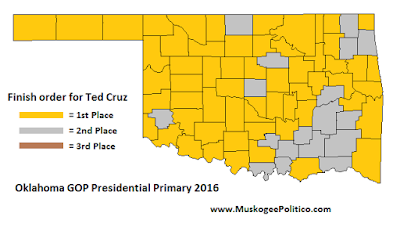 Ted Cruz received 34.37% of the vote statewide. He took first-place in 59 counties, and got "silver" (his "worst" finish) in 18 counties. Donald Trump received 28.32% of the vote statewide. He got "gold" in 16 counties, came in second in 52 counties, and took "bronze" in 9 counties. Marco Rubio received 26.02% of the vote statewide. He won 2 counties, took "silver" in 7 counties, and got third-place in 66 counties. Looking at the returns for Oklahoma's Republican presidential primary, you can see that winner Ted Cruz made a big surge with election-day voting. Absentee voting made up 2.39% of total votes cast, and Donald Trump had a 6.06% lead over Cruz. Early voting was 4.08% of votes cast, and Trump still had a 5.77% lead over Cruz. However, Cruz beat Trump by 6.87% on election day, where 93.52% of all ballots were cast. On election day, there was a 12.64% swing in Cruz's favor. After a slight increase between absentee and early voting, Marco Rubio held steady between early voting and election day. Jeb Bush pulled 3.31% in absentees, but after he dropped out his figures dropped below 0.4%. John Kasich lost about 1/3rd of his support on election day from what he got during the absentee/early voting. Ted Cruz surged back to win Oklahoma's presidential primary last night. Cruz greatly over-performing polling averages, which had Trump leading by 11.4% (at 32.7%), Rubio in second (21.3%) and Cruz in third (20.3%). Instead, Cruz took 34.37%, Trump collapsed to 28.32% and Rubio came in with 26.02%. 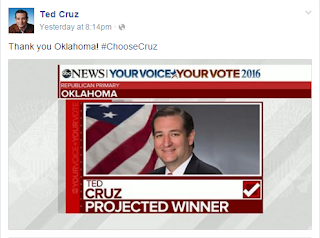 The public polling was either total junk, or Cruz made a huge last-minute surge -- either or both may be true. According to the Oklahoma State Election Board, the vote total was a record setter. 795,096 total votes were cast, breaking the Presidential Primary record of 752,261 in 2008. In addition, the GOP total of 459,542 votes beat the previous single-party record the Democrats set in 2008 of 417,207. Here are the Republican results by Congressional District; Cruz won all but the 5th District, which went to Rubio. 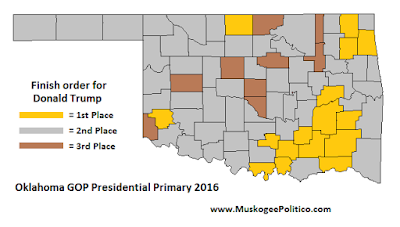 Today is the presidential primary in Oklahoma and about a dozen other states. If you are a Republican, I urge you to vote to stop Donald Trump. Personally, I will be voting for Ted Cruz. In Oklahoma, polls close at 7pm. Exercise your right to vote.